A construction project begins long before a physical building is built. As a long standing general contractor in the area, we are more than familiar with the various steps that insure a project off to a proper start. We work with clients to obtain proper permitting and township approvals before a job begins. Our team also goes over the feasibility of the project and every aspect of the construction process with the client. We also discuss different cost analyses relating to the construction with the architect and client beforehand as well as throughout the project. Creating a proper timeline of the construction ahead of time helps to keep a project on target. Through their years of experience, our expert staff has perfected creating precise construction schedules. Our reputation is built on completing projects on time and on cost. Through our years of service in the general contracting field, we have built a reliable pipeline of sub contractors and suppliers who are an integral part to our sound construction process. 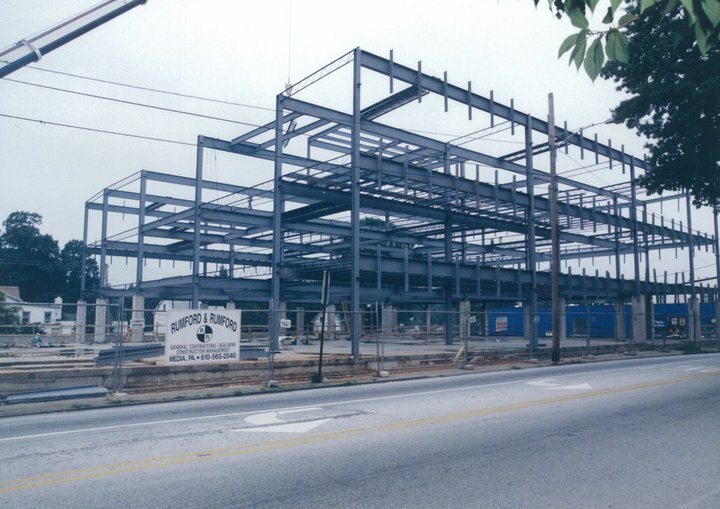 Our foremen have worked with subcontractors to coordinate the construction of office buildings from five thousand to one hundred thousand square feet in size. We maintain quality control of our projects by employing highly skilled and highly trained project managers who emphasize attention to detail. We have also worked with a wide array of architectural firms in the Philadelphia area whom can be provided by request. With our expert team of construction supervisors, customers can can be sure that their project moves along both fluently and on cost. The years of experience our supervisors have on job sites of varying sizes is unparalleled. The client contractor relationship is one of the most important factors in ensuring a smooth job. We strive to provide supervisors who are very personable, but demanding at the same time. Everyone of our employees is trained in OSHA safety certification and drug screened regularly. Our team works to coordinate with subcontractors to review scheduling and to plan ahead to prevent problems, that could hurt the cost and timeline, before they happen. Daily inspections by our onsite supervisors ensure that the project meets all local codes and complies with all proper construction trade techniques. Quality control of our projects is as consistent when we break ground as it is when the job is complete.